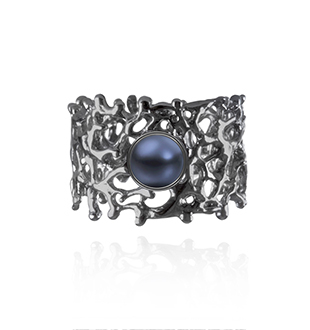 A solid sterling silver band style ring with black rhodium finish featuring a black fresh water pearl. Also available with rose gold accents. Keiko Uno’s Fan of the Sea series is inspired by the breathtaking and majestic Gorgonian Sea Fan Coral. 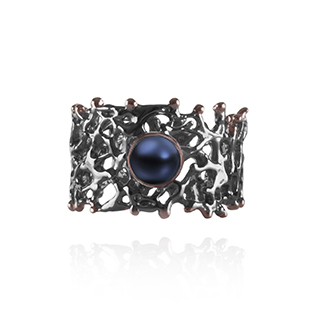 The Fan of the Sea series forms part of Keiko Uno’s luxury sterling silver Rockpool Collection.